There are many photo sharing websites online. Some are geared toward the average person who wants to share photos of family and friends. Then, there are websites like 500px.com that are oriented toward serious and professional photographers. Is 500px.com worth your time or is it just another site trying to take advantage of photographers? 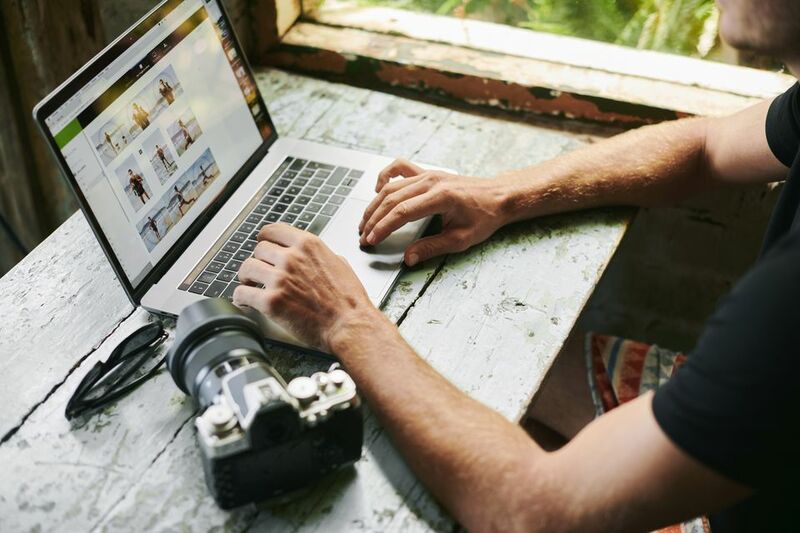 Though some people may disagree, this is generally viewed as a reputable website created by photographers that many shooters may find useful in their social media marketing and consequently in their careers. At the very least, it is worth looking into to see if it is a good venue for your style of work. 500px is a photo sharing site intended to be an alternative to Flickr where photographers can showcase their best work without it getting lost in a bunch of fuzzy pictures of kids and parties. However, like all things free and social online, there is always the potential for a not-so-good photo to slip through the cracks. While there were initial worries about the quality of photography on 500px.com, the site seems to have improved in this matter. In most cases, and depending on who you follow, the level of photography is certainly above that found on other photo sharing sites. This might be due to the community's ability to naturally self-edit and the fact that it is not popular among non-photographers. 500px is certainly geared more toward pro and semi-pro photographers. While paid accounts have more options, the free accounts do have robust options including the ability to sell licenses for your photographs. "500px is a commercial licensing marketplace built to highlight photographers from the 500px community." There remains a distinction between the 500px community and the 500px Marketplace (the option to license photos), yet the two are intertwined more than they were when the website launched. In this respect, it may be a good venue for photographers to consider in order to get their work seen by the global audience that uses 500px. Photographers Created It - Oleg Gutsal and Ian Sobolev started 500px and are photographers themselves. As such, 500px is much more attractive to photographers than other photo sharing sites where management may not understand that the rule should be "photos first." Limited Rights Required - Unlike so many "photo sharing" sites today, 500px doesn't require that you give away your photos in order to upload them. They do require the right to use your photos for publicity purposes, however. Photos Are the Focus - There is no doubt that photos are the focus of 500px. Large photos fill your screen just about wherever you go on 500px. Social Networking - 500px isn't a vacuum of hosted photos sitting alone. Other 500px members vote and comment on photos and follow each other's work. Free Accounts Aren't Hobbled - Many sites with a paid option severely hobble the free versions. In comparison, 500px's free accounts are robust and filled with options. Paid Options - For a reasonable yearly fee, paid accounts offer in-depth control of things like SEO and the ability to add Google Analytics along with more customization options. Every website has bugs and issues when it is launched—users understand this and hope that it is fixed. 500px was no different and many users pointed out glitches, issues with the rating system, and a lack of clear help when it launched. It seems that 500px has addressed and remedied most of these issues. 500px seems to be working as properly as any other social media and photo sharing site (all of which have unexpected bugs at times). The design is clean and easy to understand and navigate. The support section is thorough and the user controls are self-explanatory for anyone used to social website accounts. In comparison to other photo communities, 500px is vibrant and active. Professional and amateur photographers alike should appreciate the interactions and the potential to get a few photo sales while working on their social networking presence. These are vital elements to successful photographers in today's digital marketplace and 500px is yet another worthy website to consider adding to your social roster.